Royal Fm Founder, Adebayo felicitates with Muslims at Eid-El-Kabir, calls for love, peace and neighborliness – Royal Times of Nigeria. 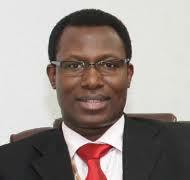 The President and founder, African Broadband Limited, owners of RoyalFM, RoyalTimes and RoyalTV online, Engineer Gbenga Adebayo, has admonished Nigerians to use the occasion of this year’s Eid-el-Kabir to show love, preach peace and render help to the needy in our society. Engineer Gbenga in his Sallah message also called for Muslims to imbibe the lessons of the season, which includes total submission to the will of Allah, unity, peace and neighborliness. The business mogul said the religious rite is also an auspicious moment for all to seek the face of almighty Allah for his intervention in solving the myriads of challenges confronting the nation, especially as we delve into the electioneering season which heralds the 2019 General elections. While noting that the task of building the nation is the responsibility of all, he called for a renewed commitment from Nigerians to contribute their quota towards having the right leadership in power. He also admonished the nation’s leaders to have the fear of God and place the nation above personal interest to make Nigeria great again.